This Ikelite Screw for Compact Digital Underwater Housing Trays (12-24 x 1") is designed to attach a lighting tray to the bottom of a DSLR Housing, an Ultra Compact Housing, a Video Compact Housing, and some Compact Digital Housings from Ikelite. 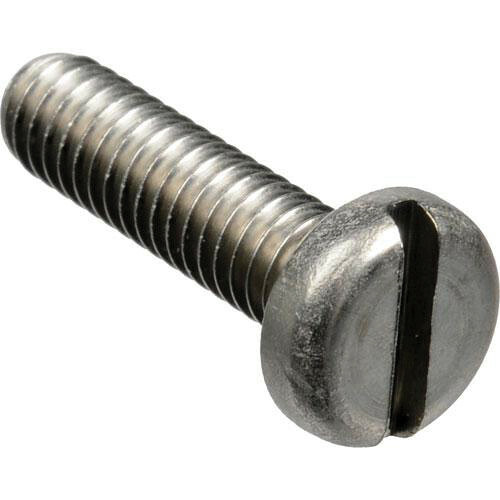 The 12-24 threaded, 1" long screw corresponds to the two 12-24 threads on the trays and on the housing itself. The replacement stainless steel replacement screw is compatible with two lighting trays from Ikelite: Dual Compact Video Tray for Ikelite Pro-V8 Video Light (#9523.52) and Compact Video Tray for Ikelite Pro-V8 Video Light (#9523.51). Only high-grade stainless steel screws should be used to attach a tray to the bottom of Video Compact housings. Box Dimensions (LxWxH) 1.0 x 0.5 x 0.05"